The Power of Penn is a campaign to showcase and further develop Penn’s commitment to inclusion, innovation, and impact in Philadelphia and across the world. After a stint of global events, the campaign returned to Philadelphia on April 2nd at the recently restored Metropolitan Opera House. 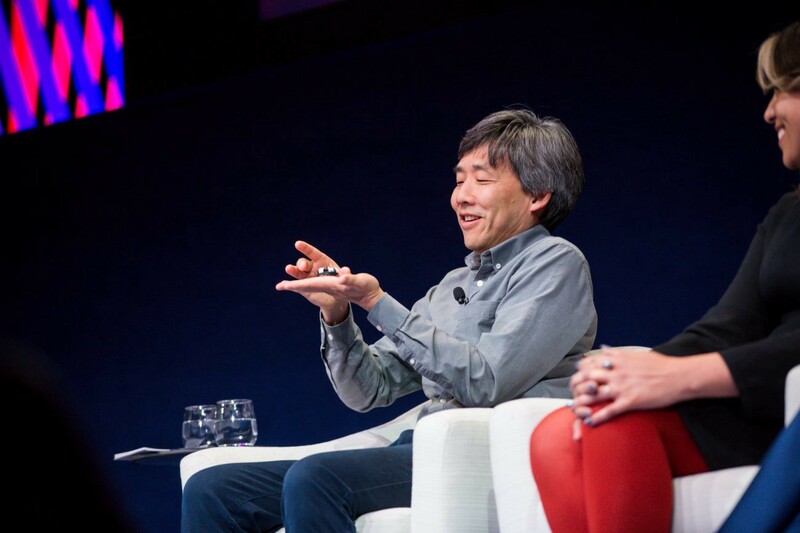 The event featured President Amy Gutmann and a faculty panel that included Mark Yim, Professor of Mechanical Engineering and Applied Mechanics at Penn Engineering and Faculty Director of the Integrated Product Design Program. Yim brought a pocket-sized drone designed by one of his former Engineering grad students, Matt Piccoli — the world’s smallest self-powered flying robot — to show that sometimes, big impact comes in small (and affordable) packages. He also emphasized that the Integrated Product Design program’s focus is on designing products with not only practical application, but also practical pricing. Yim sung the praises of students working across disciplines at the program to have practical, real-world impact. “We get students who are very diverse,” Yim said. “Artists working with engineers, working with business people, all super passionate about making a device or a product that can help people.” He noted one current student-developed product that brings this to light: a biodegradable pregnancy test, where the impact will be felt in both women’s health and the environment. Continue reading about the event at the Power of Penn.